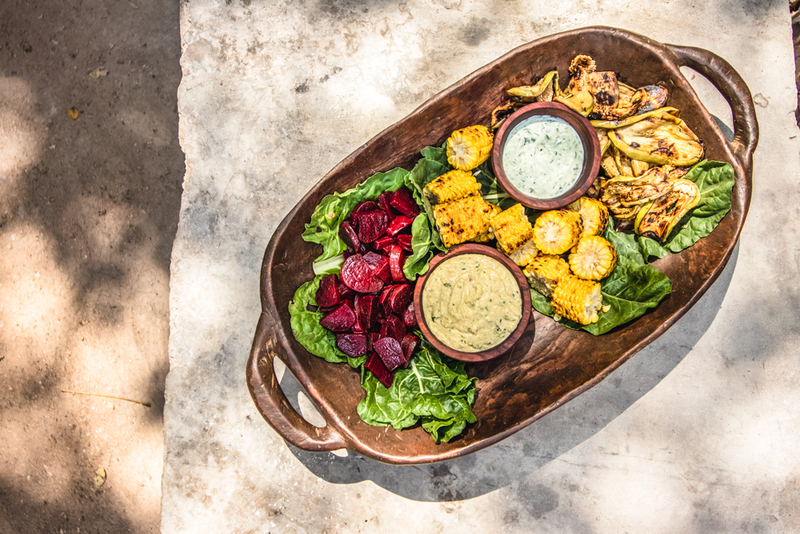 The best way to showcase seasonal produce is a generous mezze platter. 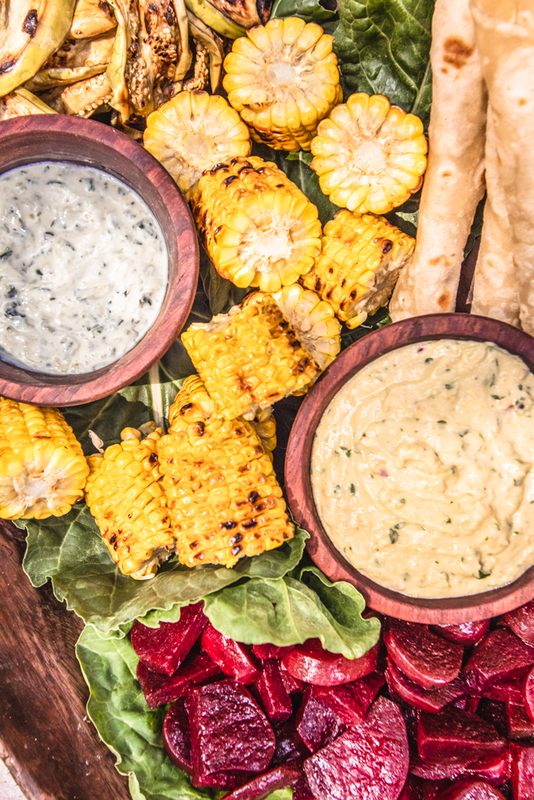 Our bountiful plot vegetables are grilled, roasted and marinated creating a magical spread of simple flavours in there purest form. 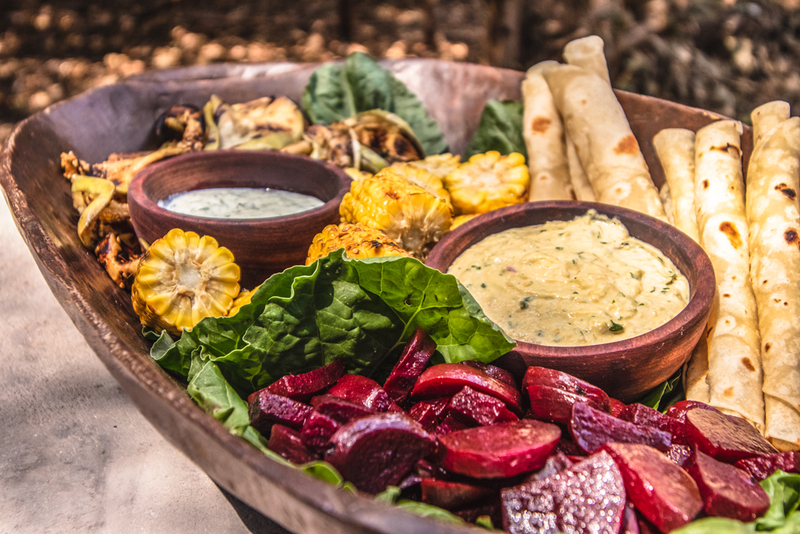 Served with flatbreads and liberal bowls full of hummus and tzatziki you have the perfect midday meal. Add a little water if mixture is too thick when blending, and remember to check seasoning before serving!